This is a custom request item only. Please contact me directly for further details. The frock coat is the quintessential 19th Century garment. Our frock pattern is based off of several originals in private collections and an 1853 tailoring manual. 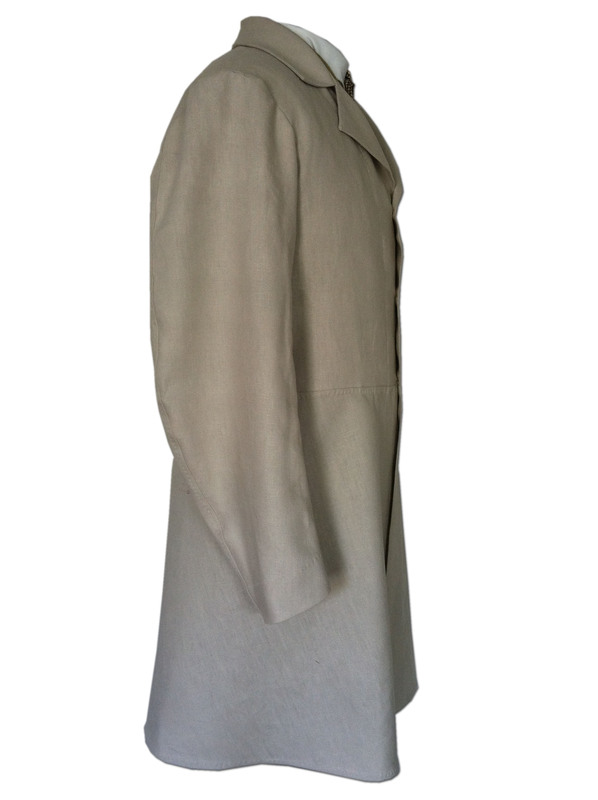 The coat is made of linen and is unlined. There are no pockets and it comes with shell buttons. This is a custom request item only. Unfortunately, I am currently only taking orders for In-stock Items (sorry, no custom requests at this time). The frock coat is the quintessential 19th Century garment. Our frock pattern is based off of several originals in private collections and an 1853 tailoring manual. 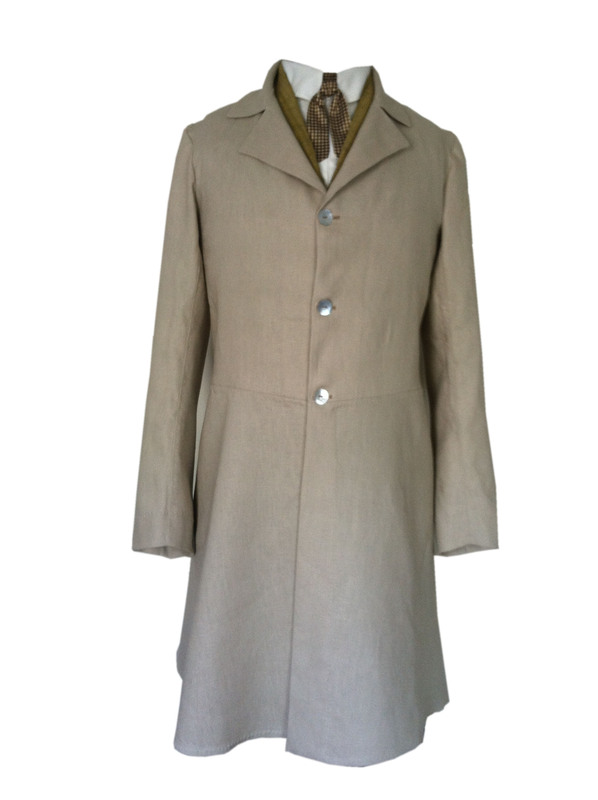 The coat is made of wool and is fully lined and has a quilted front panel, two tail pockets, and comes with cloth covered buttons. As frocks are a fitted garment, at least two fittings are required and I recommend that you contact me for more information regarding this item.